Cottonwood Plaza is a neighborhood center anchored by Piggly Wiggly. 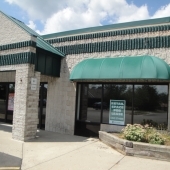 Adjacent to the complex are Securant Bank, Post Office, and a successful dental practice. Other tenants in the center include: Cousin's Subs, Domino's Pizza, Laundromat, Hair Salon and Kings Wok restaurant.